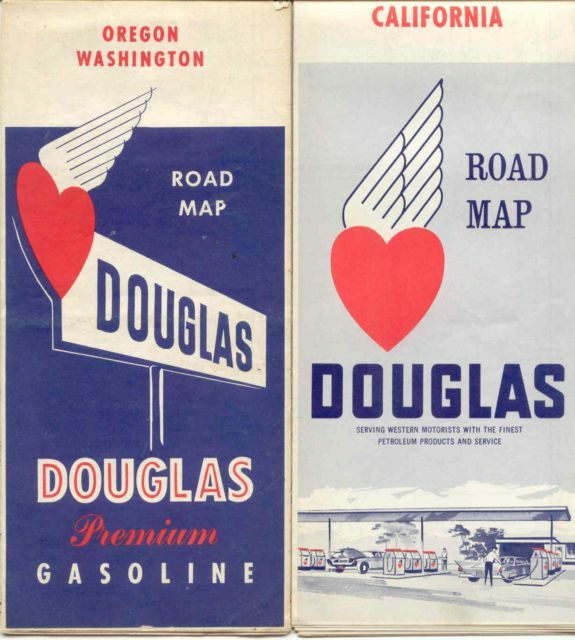 Douglas map scan. I don't remember who sent this... sorry! Blue map on the left is 1960, gray on the right is 1961. From David Aldred. 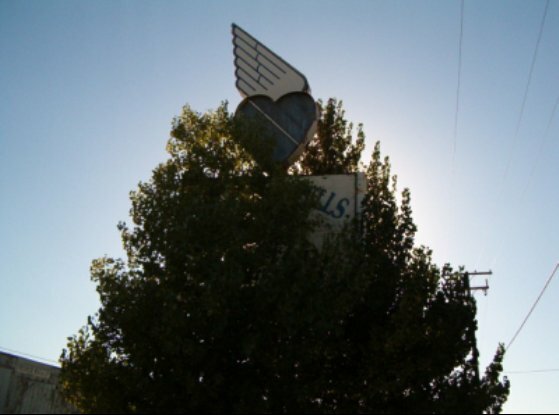 Douglas really grew after WWII with the purchase of the "Kriegler" chain. late 60's, but the company continued to operate the remaining stations. 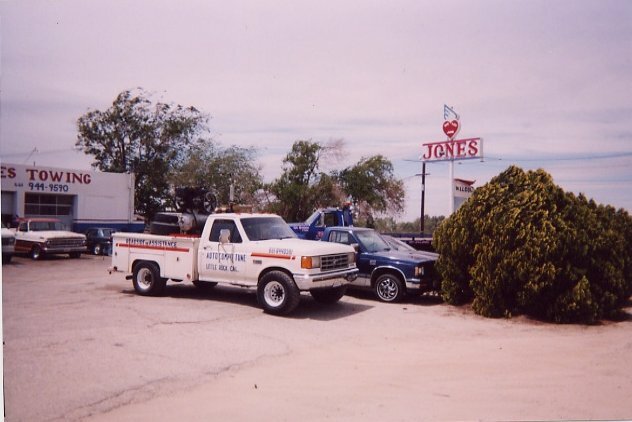 (I remember seeing many of these in San Jose, CA growing up there in the 70's). After the sale to Ultramar. 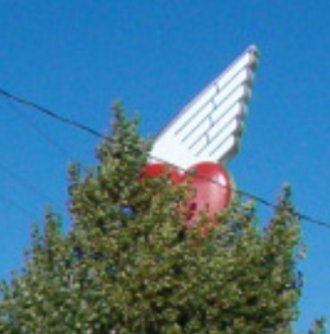 Sure enough, it's an old Douglas sign hiding in a tree! 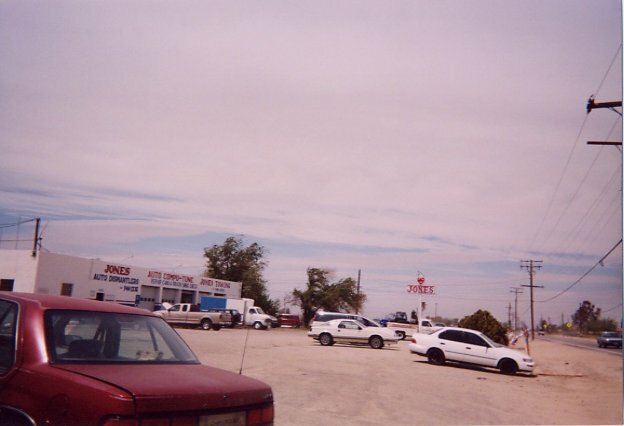 by motorists making the long climb uphill from Mojave into town. The yard today is a storage site for cement trucks. 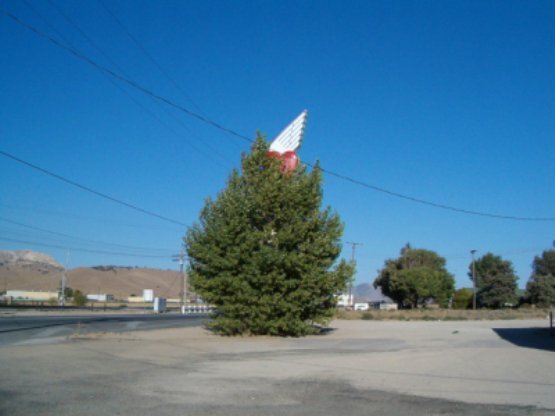 The Lehigh Portland Cement mine at Monolith is just a few miles to the east of Tehachapi. 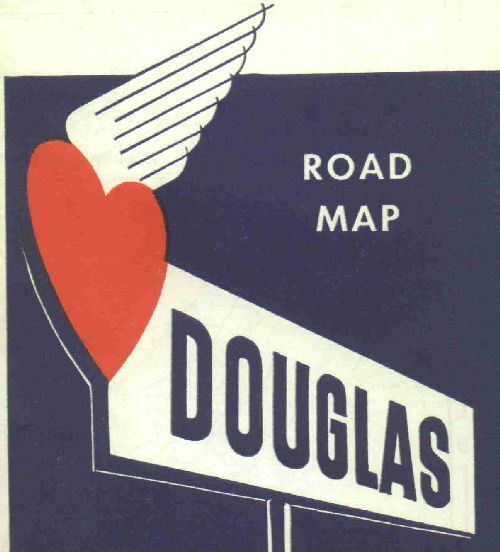 A 1967 Douglas map front from David Aldred. Back cover of the above 1967 Douglas map from David Aldred. The interior legend on the above 1967 Douglas map from David Aldred. 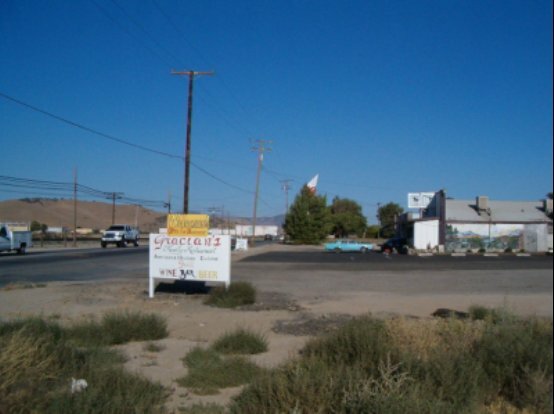 Two views of a former Douglas on 90th East in Antelope Acres, CA. in the middle of the Mojave Desert. It was active up until the 1970s. and they added "We Love Junk" across the heart. Taken April 2003 by J.Eric Freedner.